In all western industrial nations the central state administration is not the only form of public sector agency. Decentralised and specific forms of service provision, revenue collection and legally-allocated authority are well-established features of modern politics, especially in the governance of localities, although the extent and type of decentralisation varies between societies. Friedland, Piven and Alford (1977, p. 450) suggest that all western nations have institutional arrangements that manage two primary and sometimes contradictory functions, economic growth and political integration. Although concerned mainly with the United States, they argue that there is a more widespread but varying tendency for these functions to be structurally segregated between different agencies and programmes. 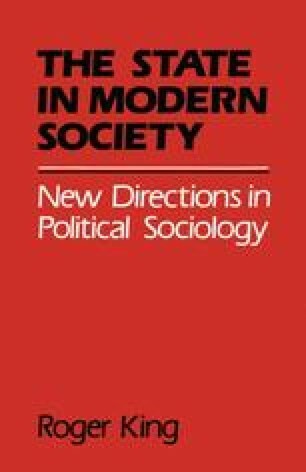 More speculatively they suggest that these variations in the extent and type of governmental decentralisation ‘may help to account for differences among nations and cities in the capacity to cope with periodic eruptions of political conflict’.